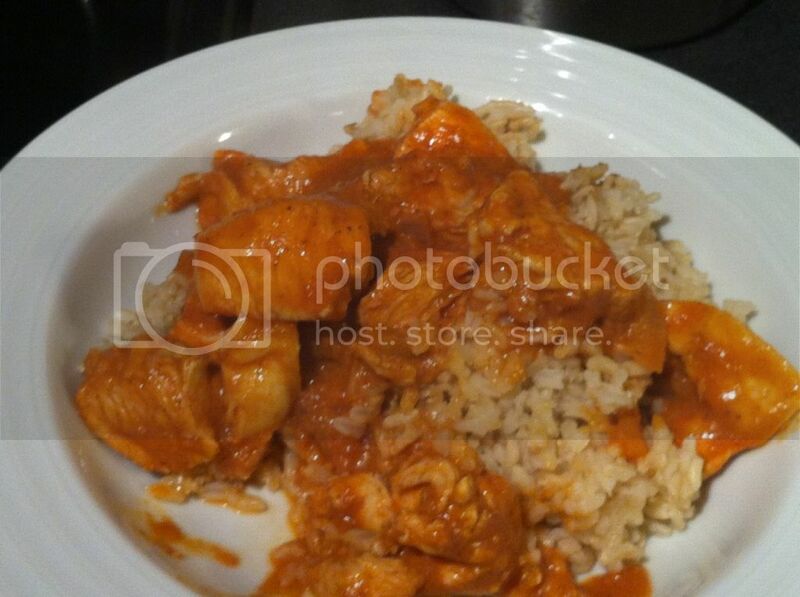 I enjoy Indian food, but for whatever reason do not have very many recipes in my repertoire. Thus, when I came across this recipe at Mel's Kitchen Cafe I had to try it. In general, the dish was very yummy but I thought it a bit heavy on the ginger. The original recipe called for jalapeno which I didn't have so I omitted--perhaps that would have offset the ginger but since I'm not much of a ginger person in general, I'll likely half the amount the recipe calls for when I make this again. In a large 12-inch skillet, heat the oil over medium heat until hot. Add the onion, ginger and jalapeno. Cook until the onion is translucent, about 4-5 minutes. Stir in garlic, garam masala, chili powder, cardamom, and coriander. Cook while stirring for another minute. Using a stick blender, puree the mixture until smooth. Mix in tomato past and broth. Pour the sauce back into the skillet and add the half and half. Bring the mixture to a simmer over medium heat and add the chicken pieces and the salt and pepper. Keep the sauce at a simmer, stirring occasionally, and cook for 10-15 minutes, until the chicken is cooked through and the sauce has slightly thickened. Stir the butter into the sauce until melted. 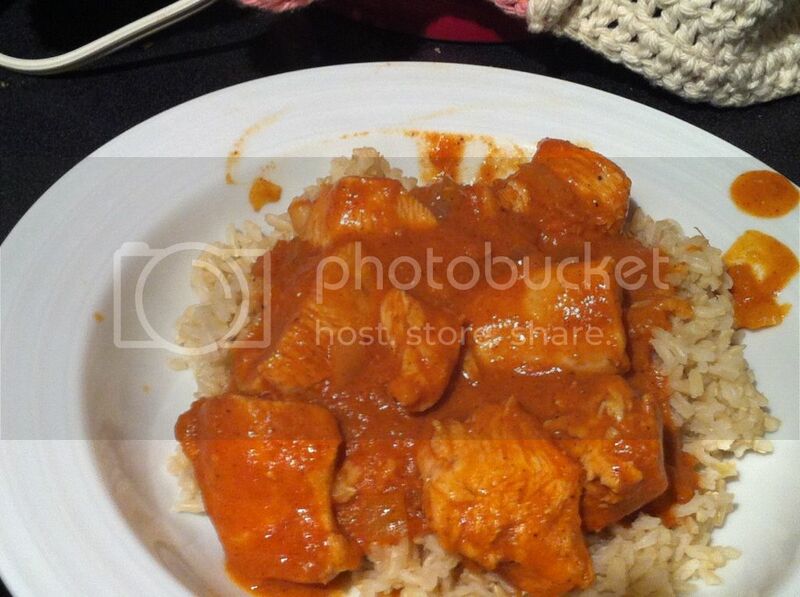 Serve the chicken and sauce over hot rice, preferably jasmine. Do you have whole spices to make the garam masala with? If not, that could be the difference - very different spice profile if you're oil-roasting the cumin, peppers, mustard seeds, coriander, etc. like they do in India. Hah! It never occurred to me to make my own garam masala. Darn, that probably would have been easier than tracking it down since I have no real specialty stores near me--not even a Trader Joe's or Whole Foods.